I'm the queen of quick and easy, mostly because I'm always pressed for time. But sometimes you need to slow down a bit and take the time to learn something new. For a while now, food photography and the amazing ways I see people plating food have appealed to my artistic side. I can't help but think that a pretty plate should be an extension of a great meal and, as such, you should take time to do it properly. Cooked with love, plated with love. 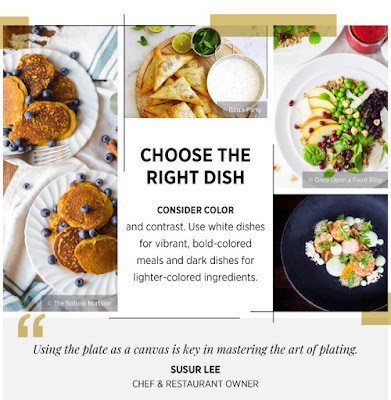 So, when I was offered the opportunity, to learn and share here some great tips about plate presentation, I just couldn't pass it up. While Thanksgiving, for those who celebrate it, is now over, we are still smack in the middle of the holidays season. Christmas is only a few short weeks away, and New Year follows right after, so hosting duties are still plentiful! 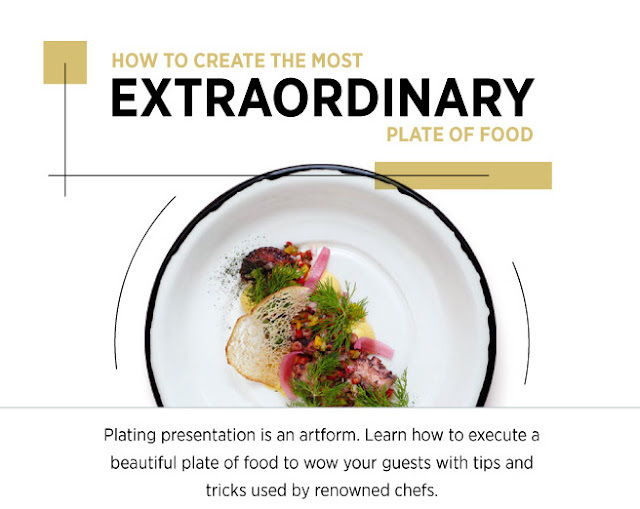 This year you can wow your guests with with a different type of crafty: plate presentation. Plating food is an art form, something master chefs work at diligently so that their menu items entice diners before the food even touches their lips. And with these tips, we can all bring some of that magic into our homes too. 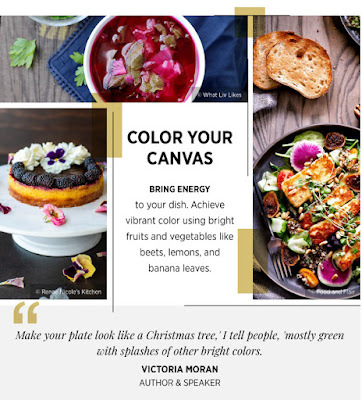 If you're hosting a big family dinner or just gathering friends for a Christmas brunch, make sure your plates look as stellar as they taste. 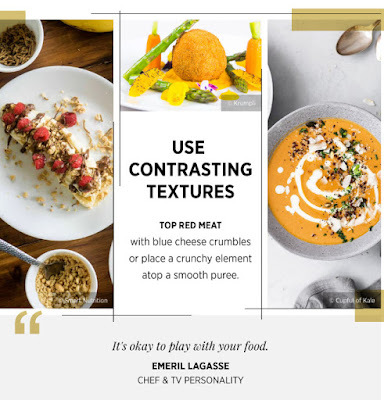 Invaluable created his helpful infographic that details nine masterful tips for plating food, so that you too can present your meals like the famous chefs. Read them here and start practicing before your guests come. And remember: this is a craft in itself, so don't be afraid to get a little creative and use different tools and techniques. Happy Tuesday, and thank you Invaluable for the contribution! This post was written in partnership with Invaluable. Images were supplied by them and as such are not owned by me. Thank you! Presentation is something I'm learning to enjoy, something I'm forcing myself to have time for. What a great subject to write on. 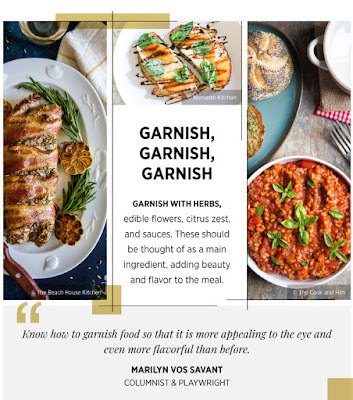 Simple food can be made to look so much more appetising with a little creativeness. We will feature this post on the next Blogger's Pit Stop to inspire some other bloggers in this art.